The NFU’s national competition for primary schools is officially opening 6 September, and schools can now submit their applications for the chance of having their school turned into a farm for a day. The competition aims to get primary school children engaging with key topics such as science, technology, engineering and maths (STEM) by designing and creating their own food and farming products. 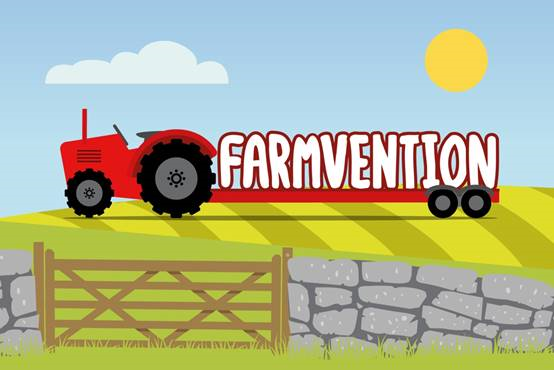 Fifty school children and their teachers who took part in the pilot project will attend the launch of the competition at Birmingham’s ThinkTank Museum, where they will take on the challenge of creating their own tractor of the future and designing and preparing a seasonal snack to take home. NFU President Minette Batters will officially open the competition. She said: “Farmvention brings real life farming situations into the classroom and it’s fantastic to see so many young people getting involved. “Food and farming is inextricably linked to STEM subjects and the NFU’s competition offers a rare chance for children to put this learning into practice in a new and exciting way. Finalists will be invited to present their designs at the House of Commons during British Science and Engineering Week, where the winning school will be announced.